Over the next few months I am hijacking the blog to spout my opinion on books featured on the CBCA Book of the Year Shortlist. The old eLearning stuff will still be up here and accessible by the links on the right-hand side but this front page will be going BotY crazy. The 2012 shortlist has a lot to be excited about. Firstly, to blow my own horn, the Jackie French book that I suggested would make the list…made the list. 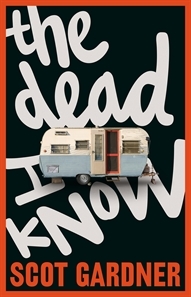 Secondly, to give credit where credit is due, Mardy was right in suggesting that I read Scot Gardner’s The Dead I Know. I would have less reading to do if I had’ve taken either of our advice. That being said, I am looking forward to reading both of these books for the first time. Aside from these, there is heaps (heaps!) of other great stuff on the list. Robert Newton is on the list again and Freya Blackwood is on there. Twice! And being a big fan of Nick Bland (of The Very Cranky Bear fame) I am really looking forward to seeing what these two have come up with together. I’ve managed to score Ship Kings from the local library so I am sure you will all be sitting on the edge of your seats looking out for my review of that one. In the meantime if you have anything to say about any of the books, please feel free to comment/spoil them for all of us in the comments box below. Just started my reading of the list. So far I have really enjoyed Bungawitta which is a light hearted read about a town suffering from the drought – written by Emily Rodda. I also read The Golden Day by Ursula Dubosarsky which is set at the time of Ronald Ryans hanging. This book was an easy but enjoyable read. After seeing Ursula at that conference last year, I am really keen to read the Golden Day. She has that amazing device of interspersing her stories with events current to the time that the story is set. This worked well in The Red Shoes with the stories of TB (or was it Polio?) and the defection of Soviet agents. I am a bit of a history buff though and I love ‘faction’, I wonder how the kids will take it? Pingback: CBCA Book of the Year Hijack | Tim the Librarian | Love to read, love to learn!